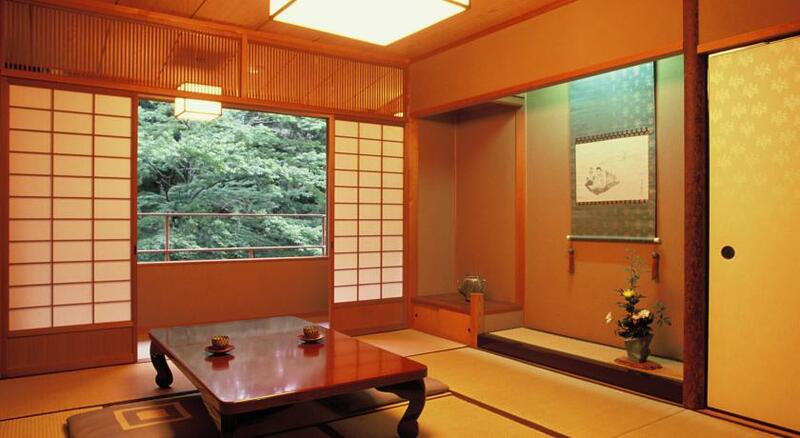 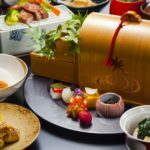 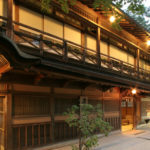 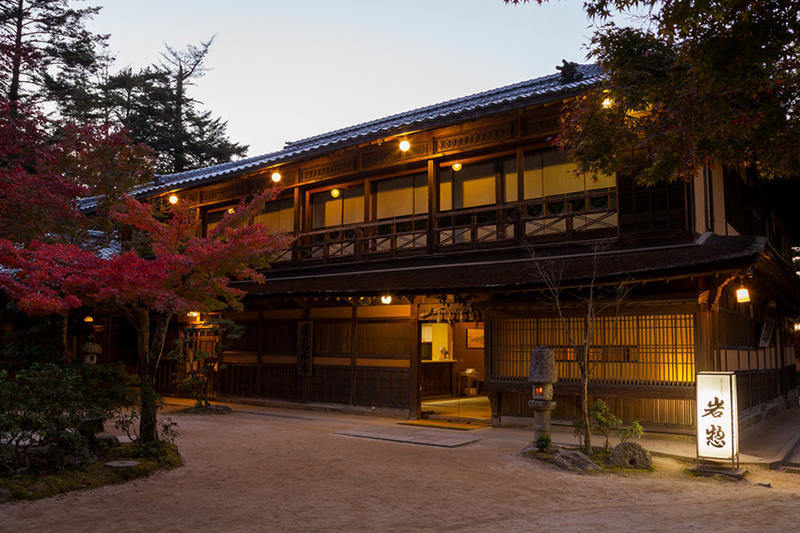 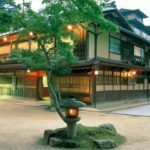 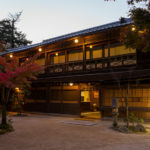 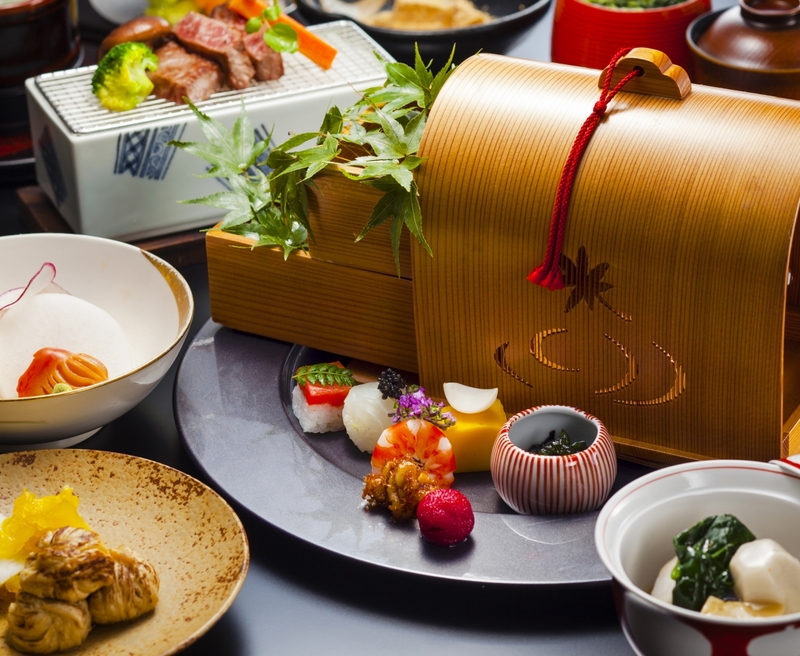 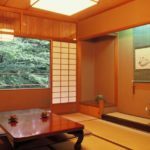 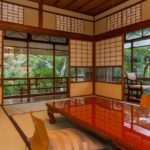 Situated in a picturesque part of Momijidani Park, the stylish luxury ryokan Iwaso has among their guest list members of the Japanese royal family and has been welcoming visitors to Miyajima since 1854. 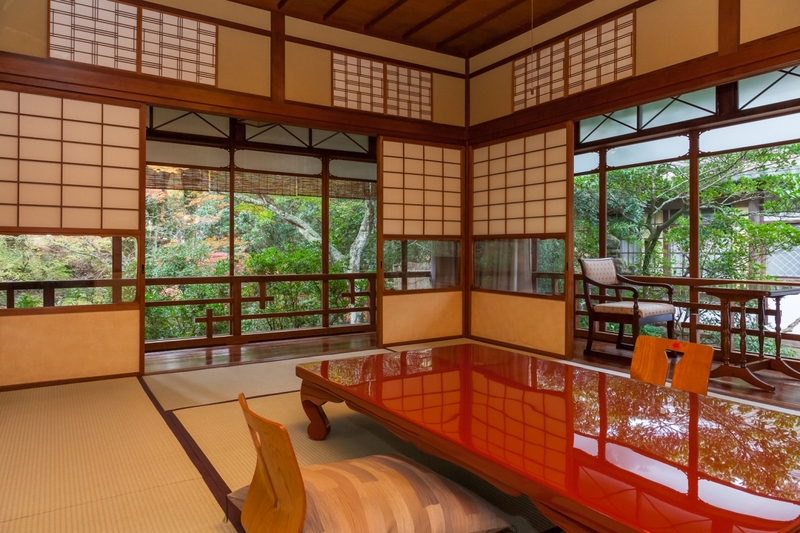 Each comfortable room boasts creative design, such as flame-shaped windows, openwork screens, latticework and alcove posts. 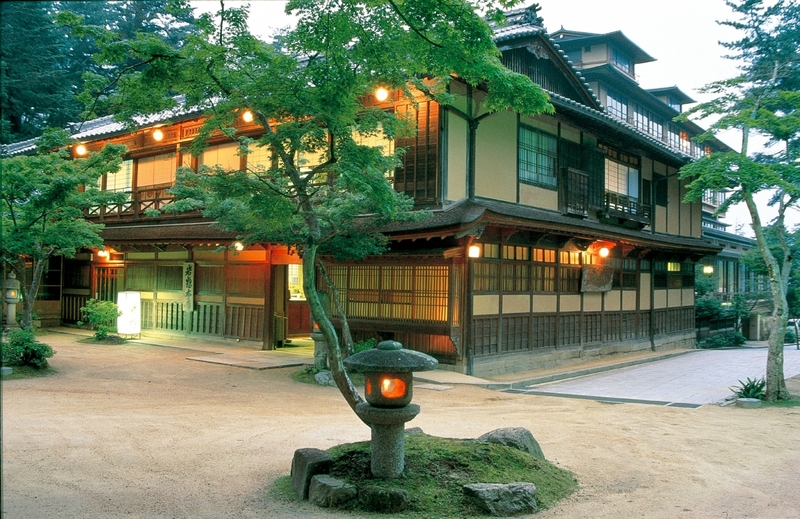 The Wakamiya Hot Spring, named after the field surrounding it, offers the gentle water for the onsen baths, transported through nearby primeval forests.